Scrap linoleum was used to make this room rug. 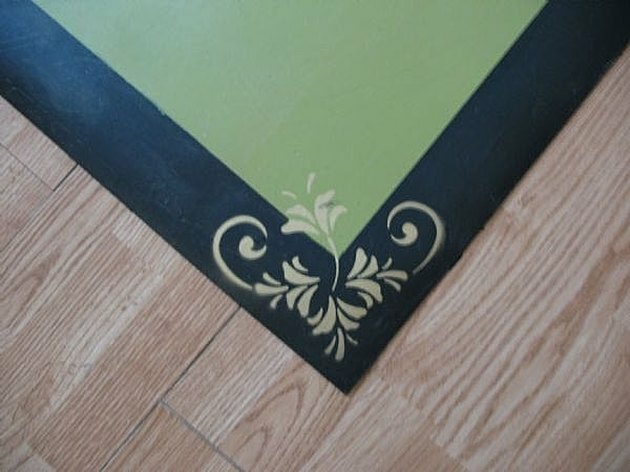 If you can't find one at a garage sale, Home Depot and Lowes have linoleum on rolls which can be cut to size right in the store. 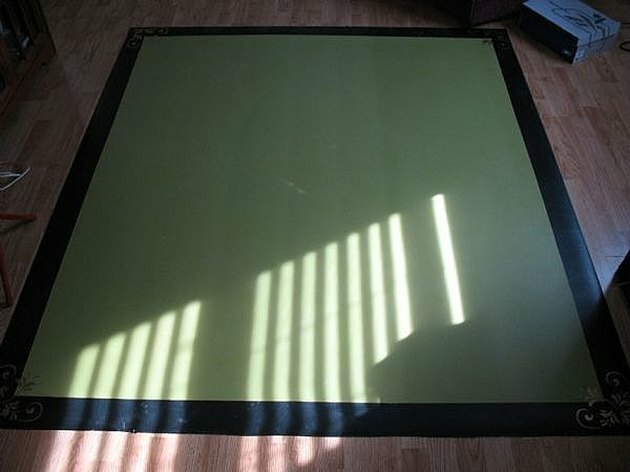 I painted this rug on the back side, because I wanted a smooth surface. You may want to paint on the right side to give it some texture. Using a paint roller, paint two coats of paint on linoleum letting it dry between coats. If you'd like to paint the first coat with a primer, by all means do. I did not use a primer, and the paint covered nicely. Next, using a pencil mark off 1 1/2 or 2 inches around border of linoleum. 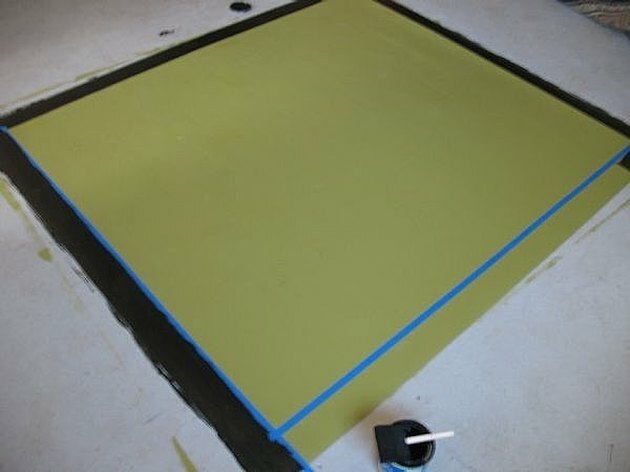 Lay down painters tape and paint border in contrasting color. Wait until the paint has dried before pulling up tape. After the border paint has dried on the linoleum, spray fixative on stencil. Let dry for 30 minutes. 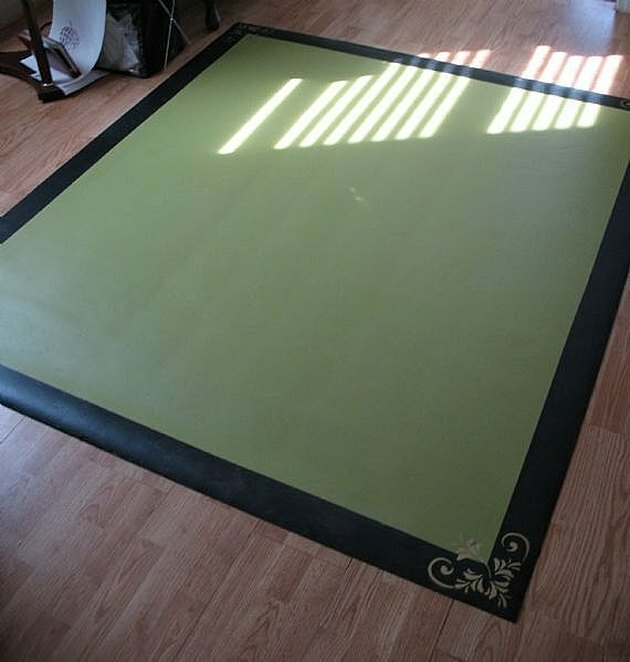 Apply stencil to corner of rug, and press it down firmly all around. Spray on paint. Be sure to let dry before removing stencil.